Find someone who has already had the work done, ask questions and ask about their exprience at the clinic or with the doctor. Check the wait time. The more popular practitioners will have a longer waiting list for a new patient. e.g. for botox with Dr Sebagh I always take my laptop with me. Be patient! Remember these are medical grade lasers/treatments, so expect there to be down time. 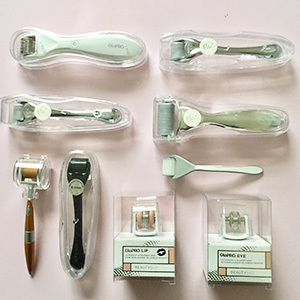 As much as these treatments can really aid specific issues, there is nothingn better than the daily routine of using efficient ingredients, and most importantly microneedling, massage, derma-rolling, to daily physically rejuvenate your skin. Polaris combines bi-polar radio frequency with a diode laser and is commonly used for it’s tightening benefits on the face and body. It also uses electro-optical singers, and together they generate gentle pulses of two types of energies - the diode laser energy smoothes the surface of the skin, while the radio-frequency penetrates to the deeper dermis, tightening skin laxity from within. Who is this for? This a great procedure for those who are looking for a pick-me-up before a special occasion, particularly for those who suffer from acne as this helps to reduce sebaceous glands. Fraxel is a skin resurfacing laser treatment that works on the skin above the muscle for a solution to uneven skin tone and texture issues. This can also be used for a tightening and lifting effect. Fraxel can be tailored to your desired outcome, with the ability to target surface wrinkles and scarring, as well as pigmentation and uneven tone. Who is this for? Anyone who has skin pigmentation issues, from melasma to acne scarring. 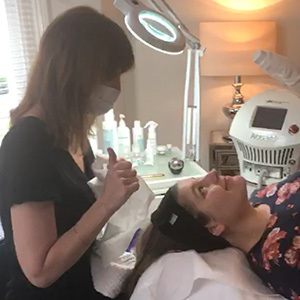 This is a less invasive version of the Fraxel laser which produces brighter and clearer skin and can be used in combination with Polaris for a beautiful complexion before a special occasion. This one can be performed in many different depths and intensity depending on what result you want to achieve. Who is this for? This procedure is for someone who wishes to rejuvenate and brighten a dull complexion. This treatment is mainly used for darker pigmentation issue such as those with red or brown tones that you wish to brighten., as well as fine capillaries. A handheld flashgun is passed across the skin, delivering a spectral range of light that targets the skin issue. The light penetrates the skin at a range of wavelengths that targets red and brown spots, resulting in a more even skin tone. These types of treatments may also be called laser skin rejuvenation, photorejuvenation, or laser resurfacing. Who is this for? This is a great treatment for those with acne or rosacea as it can really help to reduce redness and close large pores. Also great for those with noticeably decreasing collagen levels and last of elasticity in the face. This is a relatively painless procedure that will remove tiny particles of skin to help lift and firm mild to moderate sagging of facial tissues, usually used on those in their mid30s to 50s. This is a very good procedure for stimulating collagen production around the eyes and also helps to increase the skin’s elasticity, it works particularly well on fine lines. Who is this for? This is great for those with textural or pigmentation issues. Also great for fine lines as it resurfaces the skin. This is an intensive laser treatment for acne scarring, performed by a surgeon under general anaesthetic. The CO2 laser will remove the upper layers of skin. Because acne scars are generally not that deep within the dermis, the laser can remove the upper layer of skin where they are present. Then, as the new skin forms, the presence of the acne scars is significantly reduced, if not entirely removed. The skin will appear smoother, softer, and more youthful in general. Who is this for: Those with severe acne scarring. Downtime: Expect your recovery period to be up to 10 days. Ultrasound-guided PRP (platelet rich plasma) is a relatively non-invasive treatment that can be combined with other treatments to help work to tighten muscles and promotes a ‘lifted’ effect to the skin. It is commonly performed on athletes with injured muscles to help repair tears, however it has become more common as a facial procedure. The doctor will take vials of your blood and spin them down in specialised machinery which separates the platelets in the blood which will release growth factors. This procedure greatly increases the loss of muscle tone in the lower face and around the eyes often caused by menopause. PRP is a separate treatment that is often combined with any of the other laser or energy-based treatments to enhance results by bringing in the body’s own stem cells to the areas. Who is this for? Anyone who is experiencing loss of elasticity and muscle tone through the menopause.